Once upon a time, in a faraway land, there was a tiny little thing that both parents and their kids loved. And as this year passed and the Holidays approached this tiny little thing started appearing in every parent’s pocket. Grandma and grandpa got one too. But it was kids who wanted it most, and they were the ones who would learn how to use it in minutes and cry every time you try to take it away from them. Yep, this short lyrical introduction is all about the smartphone, the only one device in the house your kids probably want to use more than you do. And we are sure the same applies for tablets. And that’s no coincidence. We have some brilliant application for kids for the Holidays, that might not replace books, but are definitely as addictive. And trust us, even you as a grown-up should check out this list. We’ve included interactive books, games and puzzles, starting from apps for the littlest to toddlers, and older. Most of the apps are really great looking and entertaining, and we’ve done our best to cherry pick the best out there on app catalogs to help you entertain yourself and junior these Holidays. Don’t hesitate to let us know which apps did you download and which apps your kids loved the most? Got any other favorites? Let us know about them in the comments right below. ”Shadowgraphy (or Ombromanie) is an art of using hands to form figures onto a screen using shadows. This art is so easy because you do not need any special equipment or skills as it includes only - hands, Light source & Blank surface to perform. ”Set your creations in motion. ”Story Toys’ award-winning series of interactive pop-up fairy tale books for children comes to mobile with a brand new story, the timeless classic Grimm’s Snow White. ”Oh, What a Tangle! tells the story of Kiki, an artistic, little girl who’d rather do anything other than brush her hair. There are simply so many other better things to do. 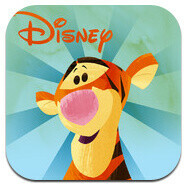 With interactive animations, these sticker apps for kids will let them rediscover their beloved characters. The apps each cost a buck for a limited time, so you’d better hurry if you want to get them for cheap. ”The Maths Monster has been at it again! This time he's frightened all Ruby's customers away from her ice cream and bingo parlour and has stolen all the ice cream ingredients. ”Created for children aged 2 to 102, Angel’s Great Escape: A Christmas Story is a magical interactive tale for all the family to enjoy in the build up to the festive season. Not a s**t that's good. To bad that Looney Tune sticker app is just iOS. My daughter would have loved it. Hi, Remote files App for Ipad is great one. i want the similar type of App to stream videos from my lap within a network to my galaxy s3.